Agaves with shark teeth. Trees that poke you. Carnivorous plants. If you think the plant world is all about pretty flowers, it’s time to think again – and time for the Zoo’s annual Savage Garden tour. No, not the band. The actual Zoo garden, which is full of poky, skeletal and otherwise Halloween-themed plants – if you know where to look. And Zoo horticulturalist Bryon Jones – who leads the Oct. 7 tour – definitely knows his savage plants. 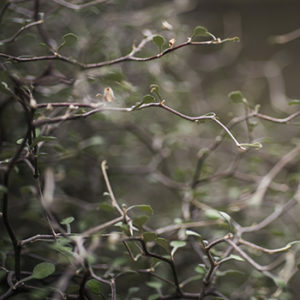 Jones not only has a passion for plants – he’s known and respected around the region for his botanical knowledge. Elite nurseries like Far Reaches Farm in Port Townsend give him personal tours, gardening writers like Sue Goetz wax lyrical about his lush, enchanting landscapes. For Jones, garden tours are the perfect place to get people excited about the symbiotic connection between plants, animals and people. So why “savage plants”? Well, they fit the October Halloween theme, of course. But plants with strong defense (or attack) mechanisms are just like animals with teeth and claws – they illustrate nature’s incredible ability to adapt for survival. 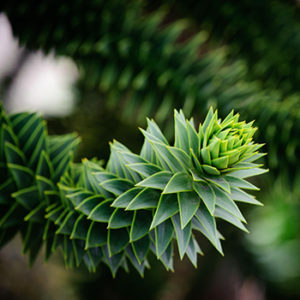 Originally from Chile, the tall monkey puzzle tree is imposing – especially up close. Long “branches” of pointy, scale-like leaves cascade from this conifer like snakes, sharp to the touch. It’s easy to see how it got its name – if you were a monkey, how on earth would you climb it safely? But what’s less well-known is that this tree is listed as endangered, due to logging, forest fires and grazing. Find ours just downhill from the main plaza. A shark in Kids’ Zone? You bet. 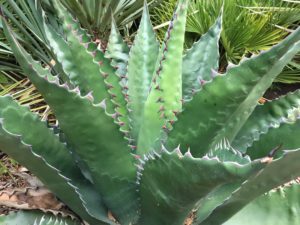 Look just behind the slides, and you’ll see a sharp-pointed agave, several feet across, with wide leaves that look just like the mouth of a tiger shark. They discourage predators from eating the broad leaves in which the plant stores its water supply. A native of New Zealand, this shrub looks just like wire netting. It’s actually perfectly healthy, says Jones, but the new growth on the zigzagging stems has so few leaves that it seems quite skeletonized – perfect for Halloween. (It’s also helpful for the plant, making it less attractive as food to passing animals.) Find it in the Southern Borders just below Kids Zone. 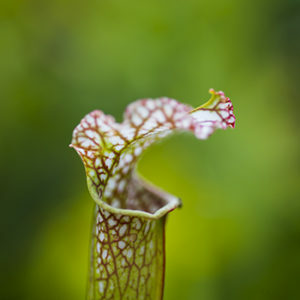 Pitcher plants don’t just rely on insects for pollination – they also eat them. They lure insects into leaves that are modified into a pitfall trap – usually a deep, vertical tube or cavity filled with digestive liquid. The insect can’t escape, and is slowly eaten by the plant. Find them near Red Wolf Woods. Spiky and prickly, cacti are the epitome of savage, and the Zoo has plenty of them. 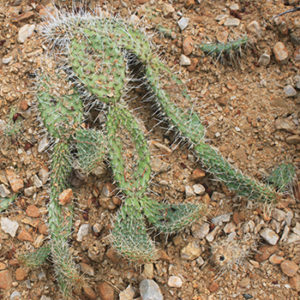 Look for paddle-shaped prickly pear in the Desert Bed near Kids’ Zone, or the sprawling octopus-like cactus in the Baja Bed in front of the Pacific Seas Aquarium. When: 10am Oct. 7. Free with admission. See event here. More: Garden tours start from the main plaza at 10am on the first Sunday of the month.